Are you ready for "BLACK"? 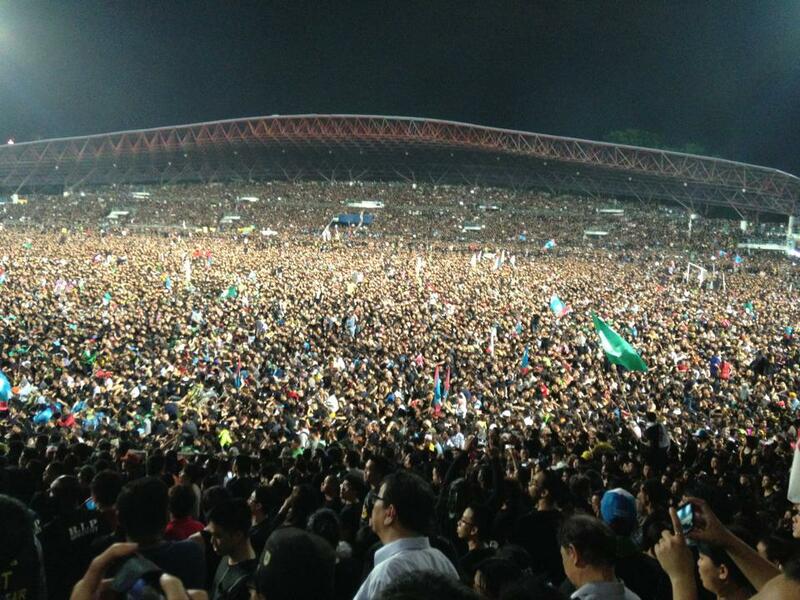 I believe it's the most memorable day for Malaysian last night. I was there....attending the political assembly at Kelana Jaya Stadium!! I'm proud that i made it there! It's massive, super massive crowd! After gym yesterday, i just prepared myself a tuna sandwich and rushed to Stadium Kelana Jaya. For The First Time the radio no more announcing "road heading out of KL is JAM" yet " for ALL the road heading to KelanaJaya is JAM for xxxxKM LONG!!!!! For The First Time I'm calmed and I'm not piss off because of jam!! 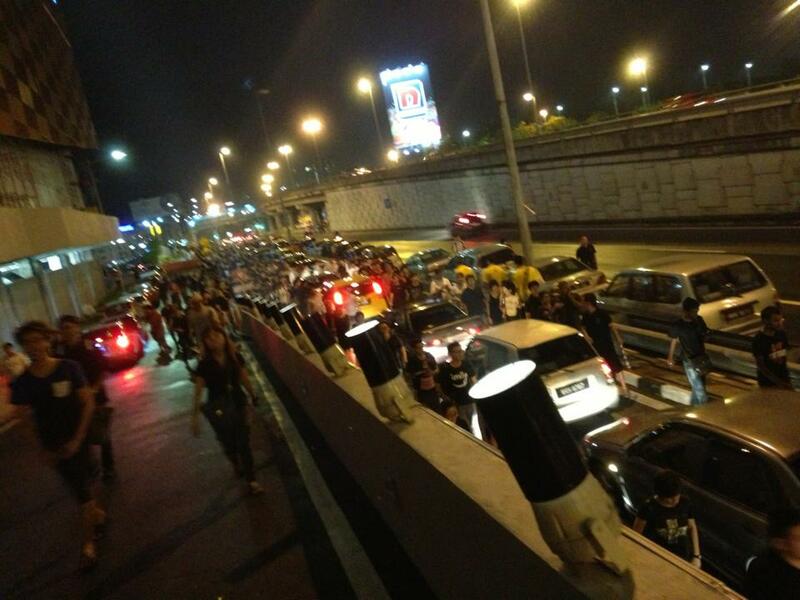 For The First Time LDP highway became the biggest car park in MALAYSIA!! For The First Time I walked for almost 5km for this gathering!! For The First Time I've ever seen that much of crowd in front of me!! More than 100k people!! Seriously, it's super super super super far walking from the monorail station to the stadium. I don't know how i made it, guess i'm too "semangat" already... I'm not tired at all during the walk because there are hundreds of people wearing BLACK like me.. walking toward the same direction. And this is what happened in the Stadium last night !!! SEEE THISSS!! I don't know how many miles i've walked to attend this assembly, but it's definitely worth it!! # I saw Malays holding DAP flags, Chinese and Indian wearing PAS's T'shirts and cap!! # I felt so touched when I saw Malay, Chinese or Indian were greeting eaching other like brothers and sisters, helping each other to translate when different language spoken by the leaders!! 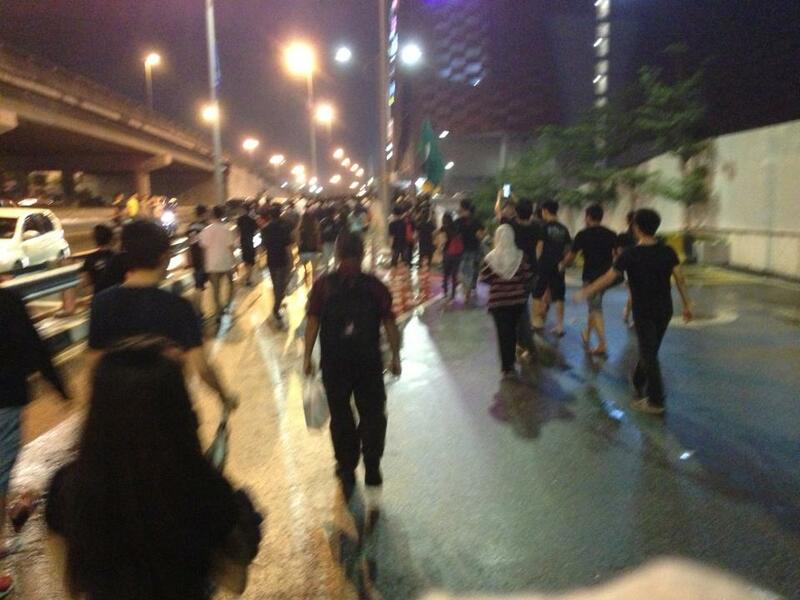 # Without any polices or Rela, we manage to attend and leave the assembly orderly. There's no Malays, Chinese, Indians, Ibans, Kadasans. There's only Malaysian!! All we want is just a clean and fair elections. We want revolutions! No Cheating! No Corruptions! No RACISM!!!! This is THE VOICE OF MALAYSIAN!!! SUARA RAKYAT!! It's not easy, but it's worth it ! not voting for someone because it cause you to be stuck for 2 hours in the road (scheduled event)and vote for someone who is cheating and sucking your money for 56 years? well done, your logical reason behind your decision make you stand out of others, absolutely a genius not a RETARDED. Your sense of freedom is really weak if a 2 hour jam can disolve your resolve. I was there too!! Damn crowded!! And massive jam too !! Namo Amitabha, hi Karen, today is Shakyamuni Buddha's Birthday. Today is the biggest Buddhist holiday of Buddhist community because today is Shakyamuni Buddha's Birthday. You should recite Shakyamuni Buddha's name many times today and tomorrow by reciting 'Namo Shakyamuni Buddha'. It's much better if you know how to chant. So your practices and cultivations of Buddhism will be much better in one year. This Sunday, many temples, pagodas and monasteries will have a chanting ceremony to celebrate Shakyamuni Buddha's Birthday. You can attend to chant with others to have very much Blessings and Merits for yourself and dedicated part of Blessings and Merits to all sentient beings. Namo Amitabha, hi everyone, please visit my websites for more Wisdom when you have already recited Shakyamuni Buddha's name. Also let your love ones know about my websites. 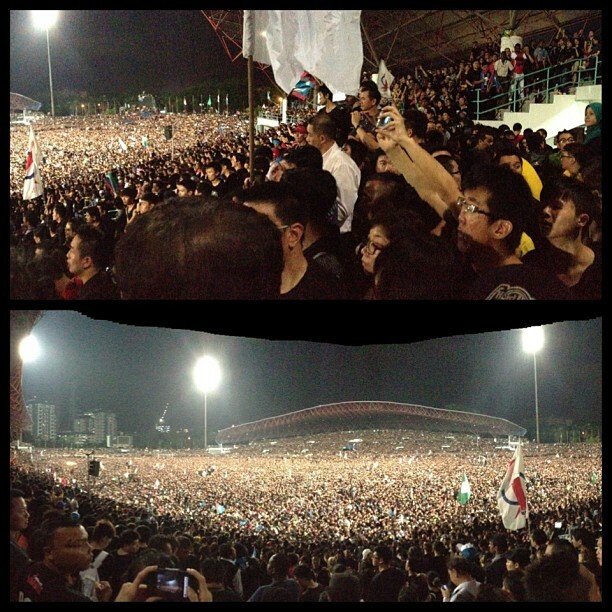 i was there.. 85% were chinese.... and of course, apa lagi cina mahu???? Hey there, i don't think 85% is chinese. There's also a lot of different races.